You’ve probably noticed by the photographs on my Instagram feed, and the recent posts on WLL I’m currently on holiday this week. 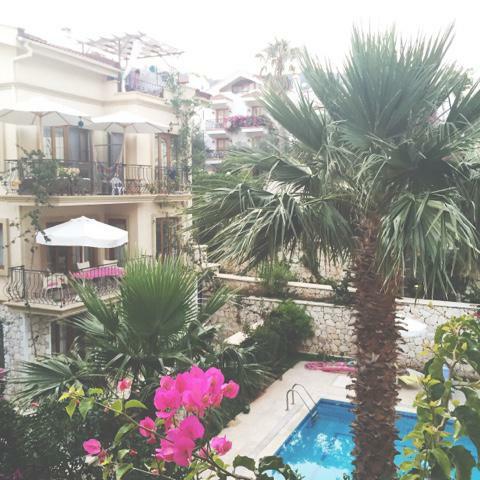 Today’s Sunday post comes from a very sunny Balcony in Kalkan, Turkey! I am currently (as I write this post on Friday) trying to sooth the heat rashes on my arms with ice, which keep melting. As I have fair skin I am prone to getting prickly heat and heat rashes which are the worst things ever. If you have any suggestions on how to prevent/ sooth this please let me know below. We are coming home on Tuesday and I have to say I really do not want to come home, I absolutely love it here. It has been so lovely to get away for a week and get some proper sunshine. It’s definitely what I have needed. Are you going on holiday anywhere this summer?